Eight years ago my life changed in the most amazing way. I met the most remarkable person. Someone who will be tied to my heart, my life, my existence for all time. It was eight years ago today that my beautiful daughter K was born. 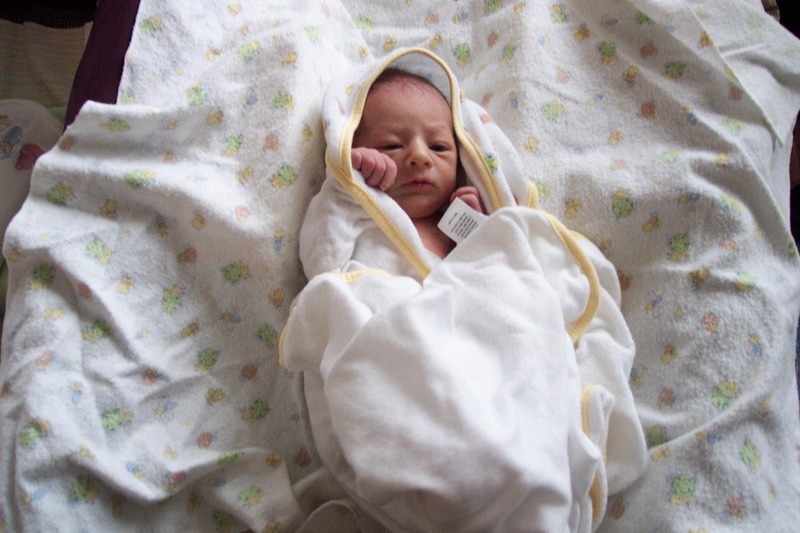 When I held her in my arms I didn’t imagine what she would be like 8 years later… I just gazed at her lovingly in a stupor brought on by 3 days of induced labor and painkillers. As exhausted as I was though the last thing I wanted was to sleep. I just wanted to hold that tiny little person in my arms and examine her face. Listen to her little baby noises. Watch as she scrunched up and released her tiny body. She’s right. It is. And it’s a day to celebrate. A day to smile and laugh. A day to spoil her just a little more than usual. And a day to remind me that she’s a person to be celebrated always. A very happy birthday to K today! And a beautiful post….I gotta go dry my eyes now….. Happy Birthday K! Hope you guys have a great day together. Happy birthday to K, from both me and Z! Thank you all so much! I passed on your well wishes, she had a wonderful birthday!